Home » art » Can You Ever Really Know an Author? Can You Ever Really Know an Author? Although he does not cite Rowling, focusing instead on Jane Austen and Shakespeare, the one with a life clearly available for scrutiny, the other not so much, my expectations of a new book by J.K. Rowling are probably higher because of Harry Potter. And, like Rick Nelson, who faced a jeering audience when he failed to perform their old favorite songs, Rowling’s foray into adult crime has left me wanting to return to wizards and magic. To be fair, I have only read the first in the detective series, and maybe the second is better. 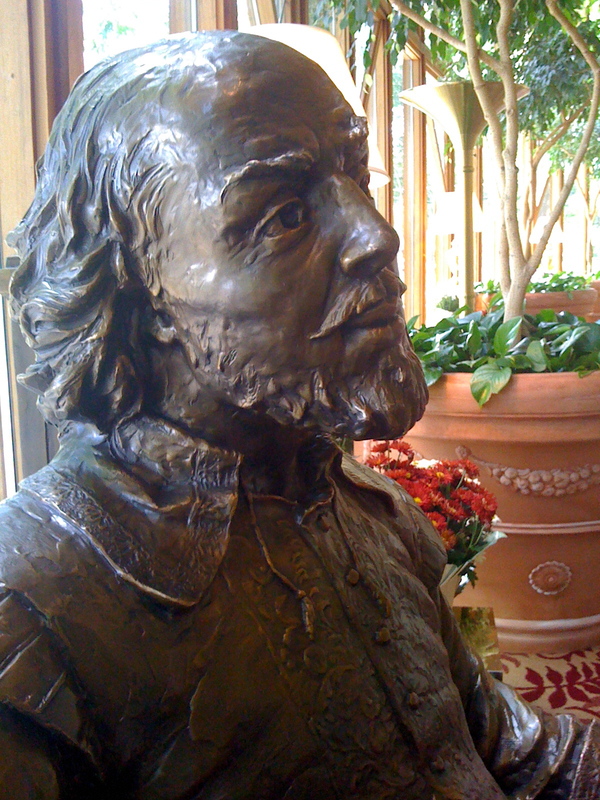 Soon I will be getting reacquainted with the Bard at the Utah Shakespeare Festival in Cedar City through Twelfth Nigh, Measure for Measure, and Comedy of Errors, and I know my high expectations will be met. Jane Austen will be there too in an adaptation of Sense and Sensibility. Maybe we can all have tea together. This entry was posted in art, authors, biography, books, classics, essays, history, news article, places to go, reading, travel and tagged Adam Kirsch, author's lives, biographies, Harry Potter, Jane Austen, JK Rowling, New York Times Book Review, Rowling, Shakespeare, William Shakespeare. Bookmark the permalink. I think for me the knowledge of the author’s life is surpassed by the ability of the author to know people. That was Shakespeare’s greatest strength, to me, his ability to know how people would feel and react in any situation – thus he wrote great comedies, tragedies and dramas that people connect to. While JK Rowling mastered the angst of the teen-age mind, maybe the disconnect in her adult books is that she has not captured that same essence of adult characters. I haven’t read her new books, so this is just a theory. Or perhaps she does not trust that readers still want to know the characters in the same way, even in adult books, and so does not allow her writing to be what it truly could either. I enjoyed reading your comments. Shakespeare also had a way with words that still resonates and his themes are universal. He also seems to incorporate a little other worldliness and some magic in some plays, and that is my favorite aspect.